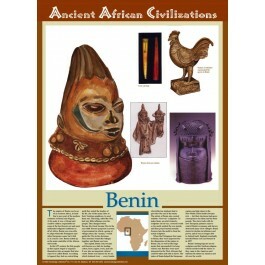 This unique educational poster features several illustrations depicting art and artifacts of ancient Benin, along with a clearly explained description of that civilization, and a small map showing its location in Africa. 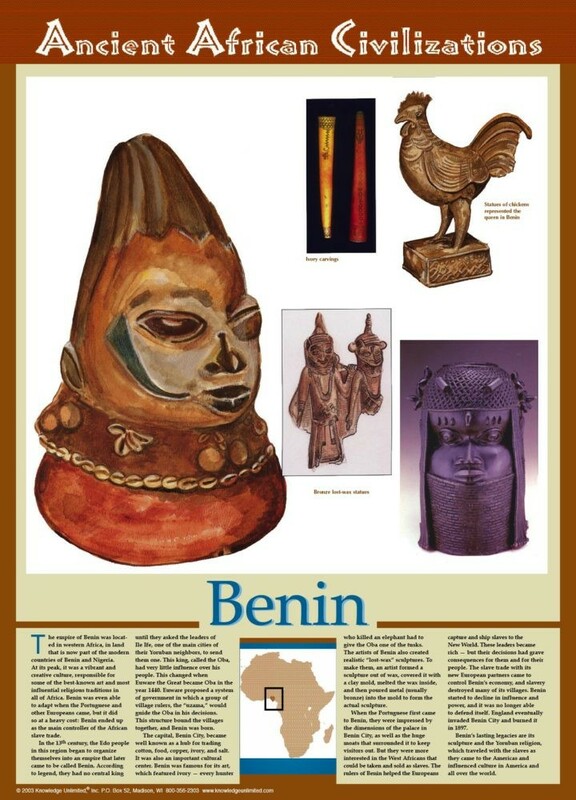 The ancient civilization of Benin was a vibrant and creative culture, responsible for some of the best-known art and most influential religious traditions in all of Africa. Sadly, the area became a center for the slave trade, and many African Americans can trace their heritage back to this remarkable culture. This poster is a great way to introduce students to this important civilization and its lasting legacies.